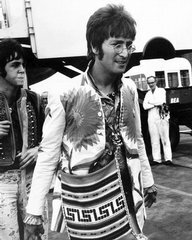 Remembering John Lennon: "Whatever you do, just do it for PEACE"
The paper dismissed Lennon's much-criticised remark that the Beatles were more famous than Jesus Christ as a youthful joke. The paper described the remark as "showing off, bragging by a young English working-class musician who had grown up in the age of Elvis Presley and rock and roll and had enjoyed unexpected success". The spirit of John Lennon's 1971 peace anthem "Imagine" will join the peaceful message of Dr. Martin Luther King Jr. when Lennon's piano arrives today for the anniversary of King's death at the National Civil Rights Museum. The piano, owned by pop singing star George Michael and his partner, Kenny Goss, is on a world tour as a symbol of peace, arriving in Memphis on the second stop of a journey that began in Dealey Plaza in Dallas, site of the 1963 assassination of President John F. Kennedy. 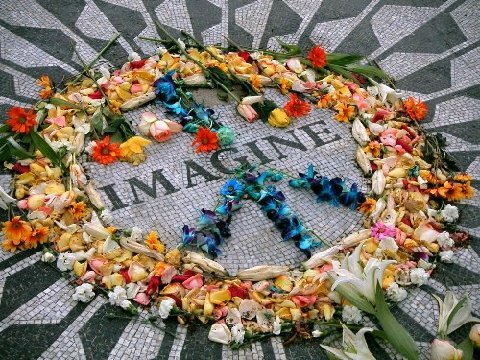 The piano, a Steinway upright on which Lennon composed "Imagine," is being photographed at each site for a possible book and a documentary on world peace.